I'm really happy to have Sue here from Chasing Squirrels. Don't you love that name? She was one of the first people to answer the call when I asked for submissions. I've been a quilter for a long time (about 28 years) and always loved it. It's been a huge part of my life and pretty much affects everything I do---who my friends are, where I go, what I do, what I buy, how I spend my time (workshops, quilting conventions & shows, etc.) I've also been in a traditional guild for 23 years and modern guild for 3. But about five years ago, I got really fired up and focused on my work and had such passion and excitement. A friend & I were talking about our art, how many projects we wanted to make, and she said something about the dog who is distracted all the time, can't focus too long on one thing-----'look! There's a squirrel!!' and in my head that went BAM! That's me! That's me quilting right now! Start something, see something else, get all charged up & excited and start that too! Now, I have always been a very prolific quilter & finish lots of things, but it also hit me that, hey, just because that's sitting there, you started it, there are no quilt police to make you FINISH it! Follow your passion! There are so many things in life that must be done a certain way, at a certain time, finish it, why on earth let that apply to our passion? I decided right then that I would follow my muse and the excitement, and do whatever I wanted to quilting wise. Life's too short not to. I firmly believe that sometimes, you may get what you need of a project just by making a few blocks. It's given you something. Go ahead and try the next thing, it's ok! Quilt with abandon! How many of you relate to that? I know I sure do!! Were there are names you considered and can you share any of them with us? Nope---never thought of another! I knew this was it. Now that you are recognized by your blog/IG name, are you happy with it, or do you wish you could change it to something else? I only joined Instagram about 2 years ago. I had joined a new chapter of the Modern Quilt Guild, the Detroit Area Modern Quilt Guild, and our President Houseofduke1 (she's now a very dear friend) urged us all to get on Instagram, start establishing some relationships in that quilty world prior to Quiltcon 2015, and I am so glad she did. The quilting world on IG has been HUGE for me---so inspiring, vibrant and supportive, so much fun stuff going on! Initially I didn't know WHAT name to pick, so I went with SLCQuilter, my initials----but then, some people at Quiltcon 2015 thought I was Salt Lake City Quilter, LOL! So right after I got back I changed my IG name to SusanLorettaSquirrel to link it more closely to my blog. There's also been an ongoing joke about my name & I am frequently called Loretta, as that gets my immediate attention. I love that IG name and don't think I would change it. Instagram and my #DAMgirls are very important to me---they inspire me every day! Thanks for being with us today, Sue. Next Monday, Clare O'Rourke from selfsewn will be here and you won't want to miss it. I will also apologetically explain why it has taken soooooo long for Clare to be highlighted. 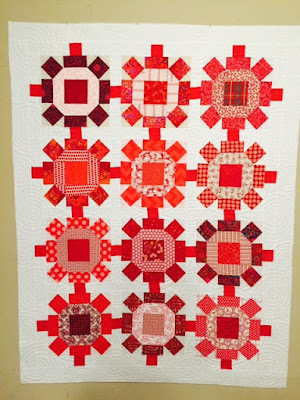 I love that red and white quilt! 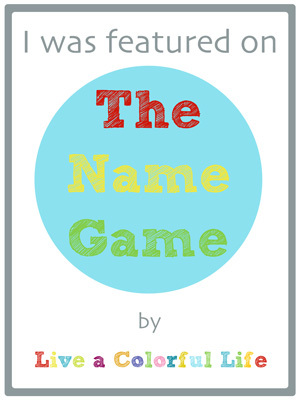 It is so fun and interesting reading these Name Games!! I LOVE the name - guess I can relate to the reason it was chosen. So many beautiful projects, but my favorite is the Wagon Wheel. 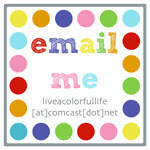 LOVE the name of the blog and your work is wonderful! Love all that color... so happy! 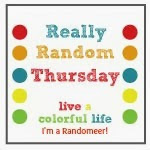 How fun to hear about the origins of all the blog names again! I love the Wagon Wheel quilt too! I think I might go back and read some more of the old Name Game posts! Thank you so much for featuring me as you guest, Cindy! And thanks to those who have already posted such nice comments about my work, I really appreciate it! I do think Chasing Squirrels is a great name, and I know many feel the same way about new projects. 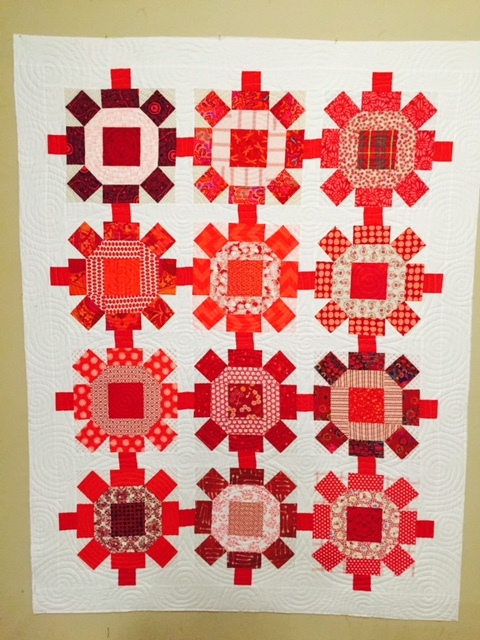 Thank you, Sue for your advice to follow your passion and quilt with abandon! I know now I need to go full steam ahead with my latest project and not worry about leaving others behind me. Thank you, Linda! Life's too short not to, right? Thank you Katie! I didn't know you were originally from here, interesting! I have fam not too far from you. Our oldest daughter lives in Portland OR, & my brother & his fam too. Love the Pacific Northwest. How fun to be their featured quilter! Sue, you are my inspiration whenever I get stuck. I'll check out your blog and am instantly, and I mean instantly, recharged. Thanks for spending the time to share your thoughts and gorgeous work with all of us. What a fun name! Sue's quilts are all so gorgeous! Thank you, the name seemed to work for me! Fun to read about the name in my IG feed--I'm in the Chuck Nohara group, too! Beautiful quilts and beautiful work. It's so nice to meet you, Sue! Glad you like it, I really enjoy following you--your work is amazing! I need to pick my Chuck back up and make some more, they are so fun. So fun to see more of Sue's projects here! I met her at QuiltCon 2015 and love to see her posts on Instagram! Thanks for sharing!